Product liability and medical malpractice attorney Scott B. Frenkel was born in Phoenix, Arizona, and grew up in Saint Louis, Missouri. He relocated to Dallas, Texas in 1989 to take two clerkship positions, and then resided in Dallas permanently from 1990 to present. He worked for two prominent downtown law firms, Johnson, Bromberg & Leeds and then Cowles & Thompson. In 1994, at the insistence of his brother, Mark and Scott formed Frenkel & Frenkel. Initially, they represented one insurance company from Austin and a trucking company from Joplin, Missouri. Within six months, they had decided to dedicate their careers to plaintiffs. Since that period of time, Frenkel & Frenkel has helped thousands of clients recover hundreds of millions of dollars in gross settlements and verdicts. 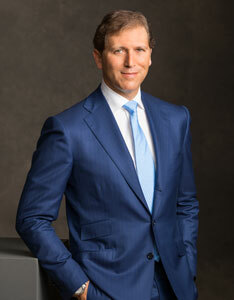 Scott Frenkel is managing litigation partner, and 100% of his practice is devoted to trial law. Mr. Frenkel primarily handles nursing home abuse and neglect, medical malpractice and product liability litigation.